What Makes Power Generators a Stepping Stone for Convenience? History has proved that Australia is Earth’s magnet for floods and bad weather. That has led many homeowners in Australia to rely on power generators as a precaution regarding prolonged power outages. They are buying power generators that have enough capacity to run some of their essential appliances, like for example, a refrigerator full of spoiled food. Utility companies do try to keep up with the power failures after storms, however, they do not always make it. And that is why homeowners decide to take matters into their own hands. And since increased number of severe storms are to be expected in the upcoming years, increased sale of power generators is a part of the forecast too. That high demand is contributing to the falling prices of these devices. For example, a 2.4 kVA power generator can be bought for about $650. It can keep small home appliances running for several hours as well as small hand tools, allowing you to get the job done on your home or work site. To keep a refrigerator or other essential equipment like pumps running, a bigger and more powerful generator is required. Thus, an extensive range of power generators are available to suit almost any power requirements. Manufacturers have reported that sales have been unusually steady in the last few years. This is probably due to the convenience these devices offer. This is not an attempts to sound dramatic – a power generator can be a blessing emergencies wise. For example, you will be able to connect your television or radio to obtain information concerning the current situation and the required safety measures to take, such as evacuation. Plus, you’ll be able to have the area properly lit as to help eliminate the risk of injuries and accidents. 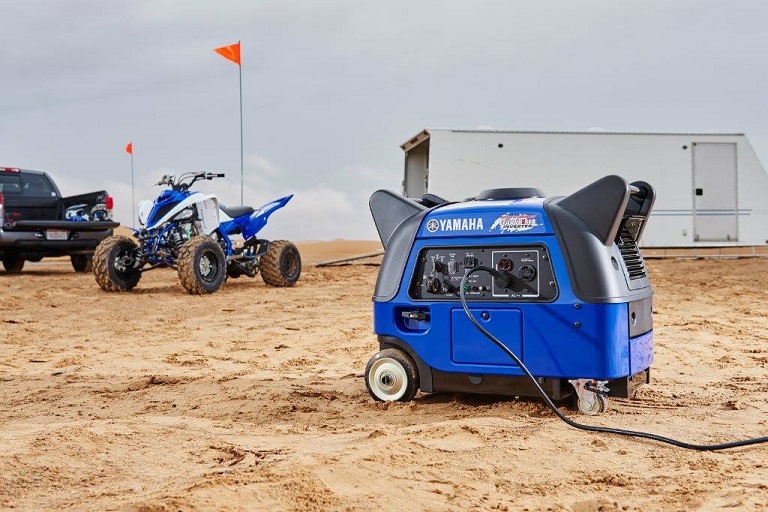 Portable power generators are easy to move around and some models even come with wheels and handle. Smaller models are even easier to carry by hand and take from one place to another. It is common for people to be a bit concerned when using a device that produces electricity, but for your peace of mind, power generators come with a range of safety features that reduce the risk of injuries and damages to almost zero. All generators come with circuit breaker protection, which prevents overloads, and effective mechanisms that regulate voltage. Many models also come with inverter technology that allows the production of clean energy which is totally safe for powering sensitive electronic devices such as cell phones and tablets. All in all, a power generator is a versatile and efficient apparatus that helps families in Australia keep their most essential home appliances running in times that they most need them to. In addition to emergencies, you can also use your generator for recreational purposes, such as camping if you’re all about that extra convenience while in nature trend.